I am going to keep my segment short this month. I do want to congratulate Arlene Blum PhD, Executive Director of the Green Science Policy Institute (GSPI), who will be inducted into the California Hall of Fame by Governor Jerry Brown next month. The 12th Annual Californian Hall of Fame Red Carpet Event on December 4th is being held "Honoring Californians Who Change the World". Other inductees include Joan Baez, Belva Davis, Thomas Keller, Ed Lee, Nancy McFadden, Robert Redford, and Fernando Valenzuela! You may recall that back in September 2017 GSPI held a Marin County launch of their groundbreaking Six Classes video series, co-hosted by Zero Breast Cancer. ZBC provides links to these videos to provide additional resources supporting our unique, interactive Girls' New Puberty micro-site (see the 'Read More' link in the 'Limit Chemicals' chapter). Talking of which, we are thrilled to make the following announcement. The Girls' New Puberty YouTube Videos in English, Spanish and Chinese are complete! We are so excited to share this work with you. Truly a collaborative effort between project lead, ZBC Program Director Lianna Hartmour, designer Dallas Drotz, Drotz Design, audio and editing producer Ian Walker, Hurricane Images, Inc. and volunteers who helped translate content and/or narrate the videos. Next month we hope to share their stories more fully but for now our grateful thanks to Chely Córdova, Frances Chiu, Hannah Barlow, Larry Chu, Maritza Cárdenas, and Perry Borders. Click on the image above to see the full length English version (5 minutes). Next steps will be to share these videos via social media and the ZBC web-site over the coming months. No need to wait for us though - if you love them please share away and use the hashtags #zerobreastcancer and #girlsnewpuberty and tag us @zerobreastcancer and @girlsnewpuberty on Facebook, @zerobreastcancer on Instagram and @zerobreastcancr on Twitter. The final element of the the 2018 plan is the translation of the entire micro-site into Spanish. That work is currently in the home stretch and we will update you when it is 100% done. All that remains is for me to say is what I love saying as the year comes to a close. Thank for your past support of Zero Breast Cancer. We will continue to count on you to partner with ZBC to promote individual and joint ways your community can reduce breast cancer risk. PS Don't wait for December 31st. 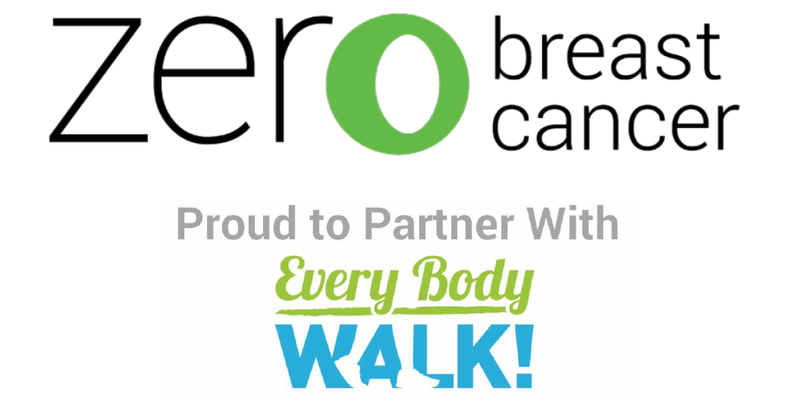 Make your tax deductible* year end gift to Zero Breast Cancer here now! * as allowed by law. Speak to your tax preparer about your personal circumstances if you are uncertain. I am writing to share an update with you about our focus on our breast cancer survivorship projects and partners. I want to start, however, reflecting on this time of so many personal and communal disasters around California. Even for those of us not immediately affected by the latest fires (or shootings, etc. ), they can have a great impact as we worry about those in that area, are reminded of past losses or fret about where it may happen next. For the 2 weeks before Thanksgiving, the air quality in the San Francisco Bay Area was unhealthy. Yet Gina, one of the wonderful volunteers at the Women’s Cancer Resource Center, was more concerned about people who lost their homes and were evacuated to Chico where the air was much worse. Thinking of others and being appreciative for what we have demonstrates our humanity. We are particularly grateful for the thousands of firefighters and emergency responders who work so hard at personal risk to save the lives and property of others. Our profound thanks to them all. Not long before the fire broke out in Paradise, two of ZBC’s staff went to the Latino Health Forum at Sonoma State University. It was just over a year since the fires caused so much devastation in and around Santa Rosa, and the theme was recovery and resilience featuring a new program for healing population-wide trauma in the area. That community is using the Center for Mind-Body Medicine’s (CMBM) model to help with the psychological trauma many are still experiencing following the fires. They are teaching local leaders to assist others and address the stress, depression, and burnout that so commonly occur among those in the caring professions trying to help others and still dealing with their own losses. CMBM uses mind-body medicine, self-expression and small group support. While many of their techniques—meditation, guided imagery, yoga, exercise and biofeedback—seem uniquely suited to Californians, the program has helped people of many cultures, from Kosovo to Haiti and Israel to post-Katrina Louisiana. Many of these methods have been found to be quite helpful for people with breast cancer and those who love and care for them. Even when caught early, the cancer diagnosis and treatment can be physically, mentally, emotionally, socially and financially traumatic. Over the past few decades, scientists have found that many people who no longer have any evidence of disease continue to suffer after finishing active treatment. For more than a year, ZBC has been exploring ways to educate and empower people diagnosed with breast cancer to do more than survive. As part of our efforts to develop a campaign that will help reduce risk of recurrence and boost physical and mental health and wellness, we are working with breast cancer survivors. In collaboration with scientists from Kaiser Permanente Northern California, we recruited diverse women from their breast cancer survivorship study (Pathways) to form a Community Advisory Board (CAB). These women from the Sacramento area to the peninsula, are learning about the Pathways research and ZBC’s process for developing educational materials. CAB members are helping us take survey results and evidence from Kaiser and other experts to figure out how we can best help survivors through this transition. This includes some of the mind-body techniques they are using in the Santa Rosa area. We are also planning to engage survivors through the Women’s Cancer Resource Center and our other partners to test and refine the messages and materials that we create. With the assistance of many who have had cancer and those who love and support them, we will develop a campaign that will inform and empower those who have had breast cancer to thrive and do more than physically survive. Our first app for review is geared to people starting or currently receiving cancer treatment. It would also be very helpful after treatment to track long-term symptoms and medical follow-up. 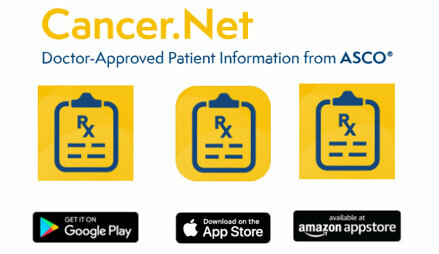 Cancer.Net Mobile is available free for iPhone, iPad and Android. This app is available in Spanish too! Just download on a Spanish-enabled device. It offers tools to help understand cancer and monitor health. Developed by the American Society of Clinical Oncology (ASCO), it includes the latest medical information from a reliable source. In Google Play it has a 4.3 star (out of 5) rating. The latest update (version 4.0, June 2018) has made this app much more user-friendly, and it appears that they addressed technical problems that were previously reported. You can read the full review here. Chief Revenue and Marketing Officer at the California Academy of Sciences, non-profit leader, ZBC Board President! Board President Melissa Felder discusses the significance of Zero Breast Cancer in this month’s Get to Know the ZBC Board interview. She has been a member of the Board of Directors for the past three years and is toward the end of her first year of a two-year term as president. Building on her initial engagement with ZBC as a Taproot Foundation consultant, Melissa has helped ensure our organization fulfills our goals to prevent breast cancer in the next generation. She will help oversee exciting new developments that will be made possible by Marjorie Bonner’s generous bequest. You can read the full conversation here.